So I’m a bit late with this, by almost a couple of weeks. 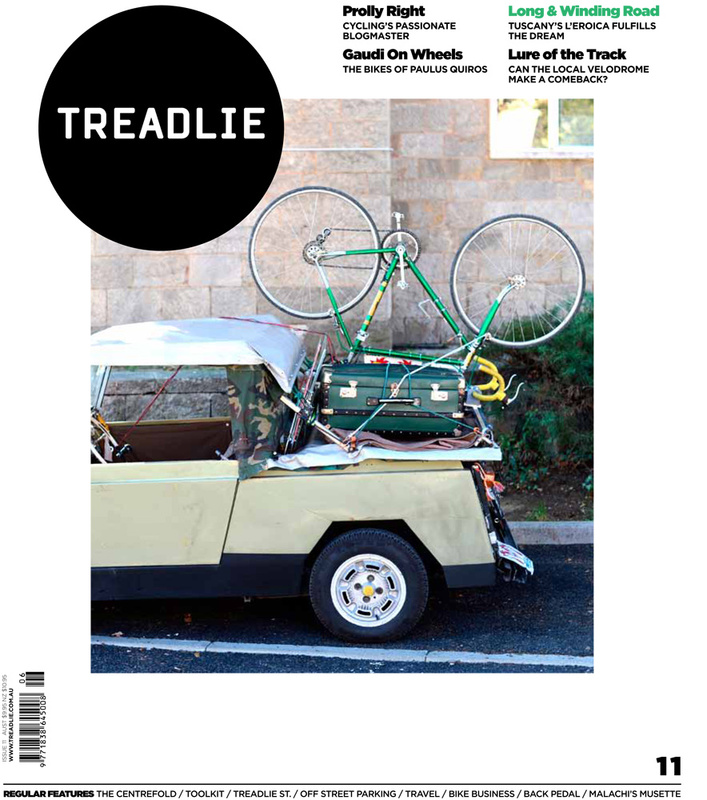 But just in case you haven’t heard, Issue 14 of Treadlie Magazine is out! Its been a fun issue to put together. As usual, by the time it is out in print I’ve moved on mentally to the next one (and even the one after that) so it always seems a bit strange to finally come across it. 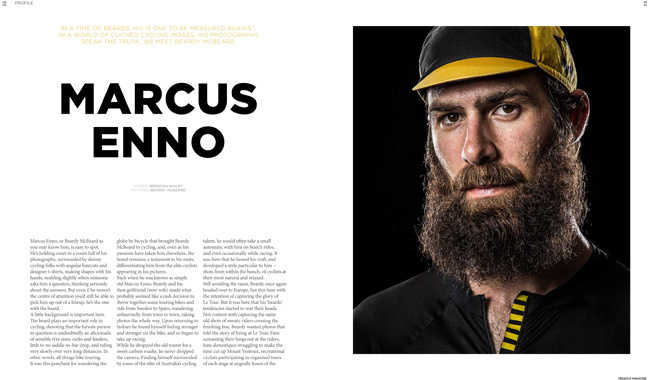 I love the ‘beard-off’ in this issue with two of our profiles, Marcus Enno (a.k.a. 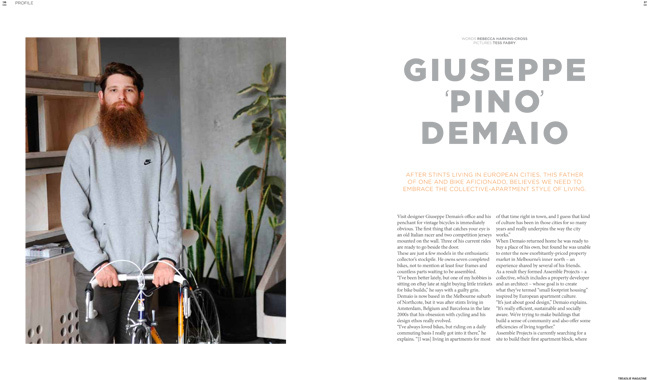 Beardy McBeard) and Guisseppe ‘Pino’ Demaio (of Assemble Projects) sporting quite outstanding examples of modern day hirsute-ry. 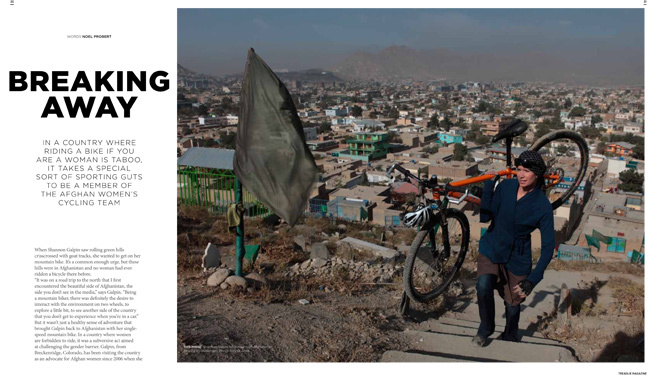 There is a great story on the Afghan Women’s Cycling team, written by Noel Probert, that puts many of our first-world cycling problems into perspective. Next time you think its too hard to fit in a ride spare a thought for the obstacles facing these amazing ladies! Not to mention the dedication of women like Shannon Galpin in supporting them. 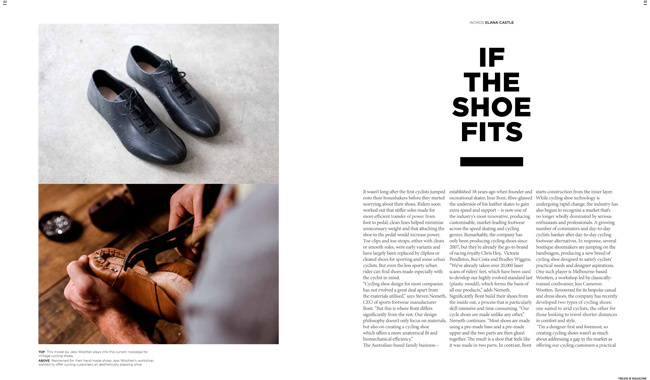 I’ve come across quite a few cycling shoes lately, those by London’s Tracey Neuls, and others being handmade both in Melbourne and elsewhere, as well as your more traditional performance shoes that ‘cyclists’ wear, so I commissioned Elana Castle to write a feature taking a look at these and the different riders they’re appealing to. Because we all need more shoes, don’t we? I’ve been wanting to profile the work of Ewen Gellie for a long time. Ewen’s work has a very fine understated quality to it, which if you’ve ever met the man himself, you’ll recognise instantly. It never ceases to amaze me how much of the builder always manifests itself in his bikes. Living in Melbourne or Sydney it may sometimes seem that there is a cycling festival of some kind on every other week or so. Many of these, like the now resting Melbourne Bikefest and the Bicycle Film Festivals, started out as grassroots events, driven by the determination of a handful of people. 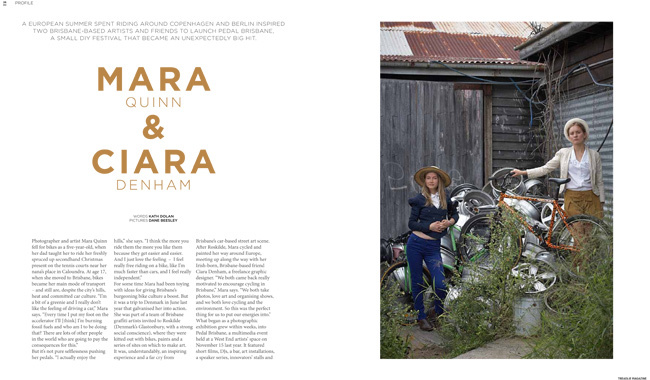 Its always interesting to find out what inspires people to do this so I asked Kath Dolan to interview Mara and Ciara of Pedal Brisbane and find out what inspired them to start their very own Brissie bike culture festival. And you know that reality tv show about the Haul Rd in Alaska, with the truckers risking their lives every time they drive it? Well meet Steven Fabes. 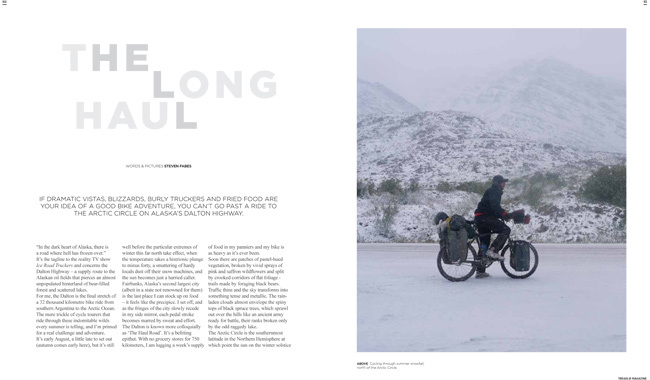 He has ridden six continents and while I was trying to work out with him which of his millionty amazing stories would be best for this issue of Treadlie he mentioned riding this road. Just the photos will make you shiver. We’ve never had a riding in Alaska story before and Steven is a great storyteller, and photographer! 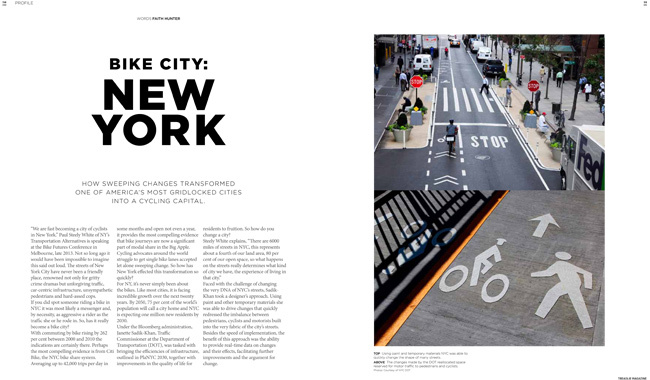 At the other extreme, I’ve written a short piece about the bicyclification of New York City. Its always interesting to look at the facts and figures and contrast them with your experience riding on the ground. The New York story is significant because it is the story of a city administration realising just how much they need to encourage riding (and walking) to keep their city liveable into the future. They have made HUGE dramatic changes. Which is not to say, that riding there for a week last September, I wasn’t pining for some aspects of safe-little-downtown-Brunswick! I also really love this issue’s cover. It features Krys Blakemore from Brooklyn in New York City whom I ‘met’ online via Itchy the Movement. Krys has had an amazing year with some major surgery after a horrible accident. She also happens to be great illustrator so make sure you check out her work. Well we managed to get issue 13 of Treadlie Magazine out! It’s always such a crazy time, not just the lead up to Christmas but the whole spring period is so busy with bike things, all good things but so many of them! I was really happy with this issue to be able to profile Melissa Agate or Sanso, as you may know her. 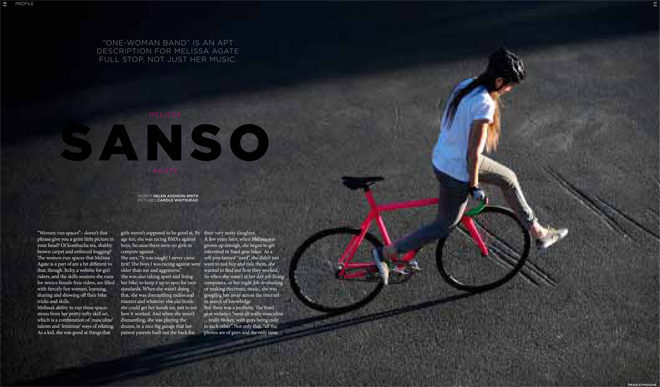 Besides having the most beautiful bike in the known universe she is also an accomplished musician. But it is what she is doing to create spaces for girls to ride, both on the street and online, that is really interesting. 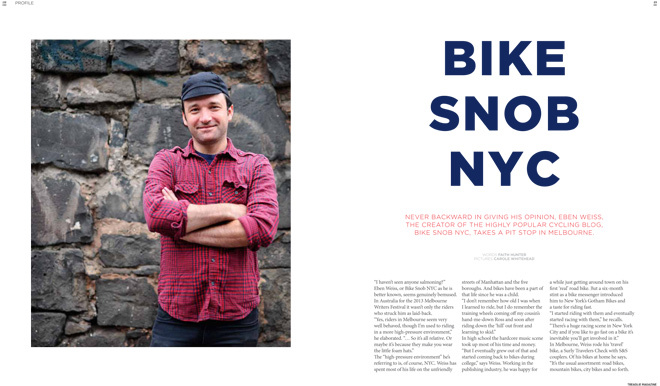 I also caught up with Eben Weiss, of Bike Snob NYC, when he visited Melbourne for the Melbourne Writers Festival. As Carole Whitehead, one of our favourite photographers, commented, he’s ‘not so snobby after all’. It was interesting talking to Eben about the changes to New York City, and the simultaneous changes in him and the way he rides. He’s still cranky though, and listening to his stories of attitudes about driving in NYC, I can’t really blame him. 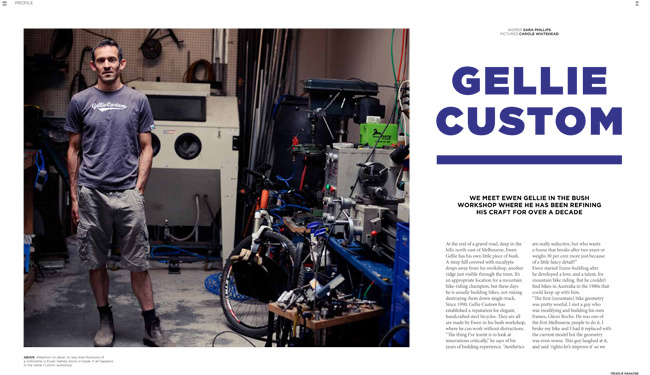 Paul and Charlie Farren are two of my favourite people in Melbourne, along with their exceptional bicycle collection. It had been a long time since we’d had an antique bicycle featured in the Treadlie Centrefold so I got in touch with them and this is what Paul suggested. 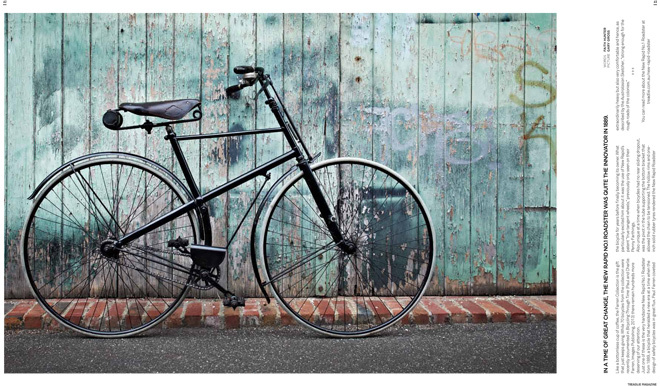 Its an amazing bicycle, on the cusp between a modern day ‘safety bicycle’ and a penny farthing. Paul and Charlie Farren also have one of the most photogenic green doors in the business, always a magical combination! 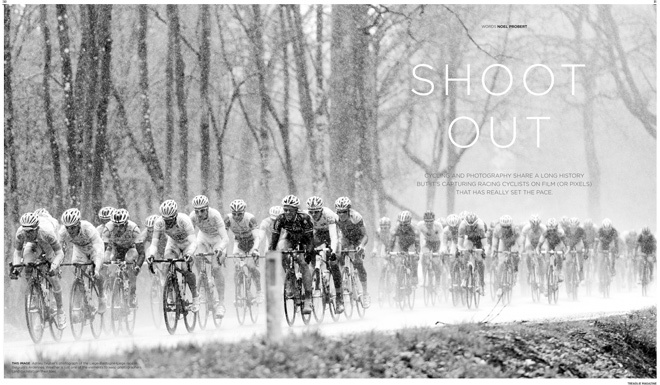 We also take a look at cycling photography in this issue. Its fascinated me, the way that cycling and photography seem to have grown up together, and developed in tandem, staying favourites throughout the years. We talk to a couple of photographers, from old school to a modern day cycling photographer like Ashley Gruber. The photo are stunning! And of course there is much more than that! 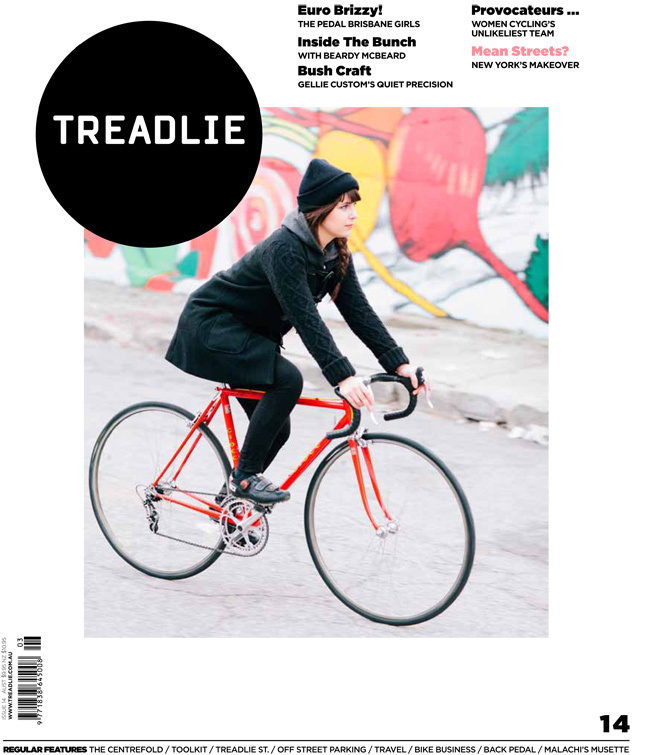 You will find Treadlie at newsagents and Magnation stores as well as some local bike and book shops. Or of course you can subscribe, either here or on the iPad. The June issue of Treadlie out and its a little bit special! We decided to make a few small changes after our tenth issue. I’m really happy with the mix of stories we have in each issue of Treadlie and we didn’t feel there was any need for radical changes, but after ten issues we all had a good idea of the sort of magazine Treadlie was, and we thought there were even better ways to bring all those fabulous stories to our readers. Our Art Director Peter Salmon-Lomas has done a wonderful job. I know which magazines intrigue me, (hell, I even bought a soccer magazine once! ), the ones whose pages I love to turn, whose photos I drool over and somehow, Peter has managed to channel all of these it seems in his changes to Treadlie. I’m really excited and more than a little proud to be working with such an amazing team of people. I think Treadlie looks amazing and I hope you’re going to enjoy it. If you don’t want to buy the print edition you will also find it for both iOS and Android platforms on either the Apple newstand or Android Marketplace.